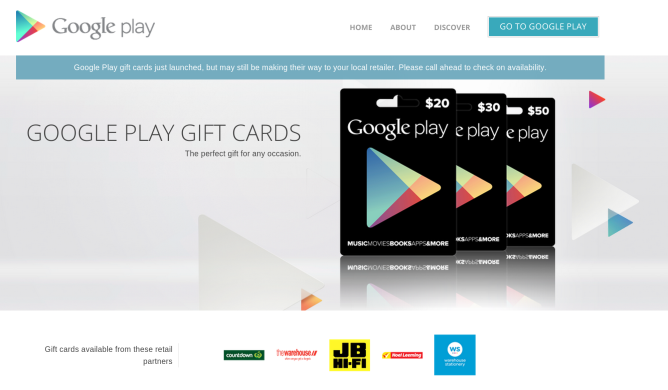 The gift cards are available in increments of $20, $30, and $50. That's enough to pick up quite a bit of content from the Play Store, and if you're looking to transfer cash into a currency Google Play is willing to take, paying for one of these cards is one of the easiest ways to do so. Give us a shout if you've already seen one in the wild.